Wheeler: "When people are not playing by the rules and they are creating more pollution ... we will catch them, we will hold them accountable." 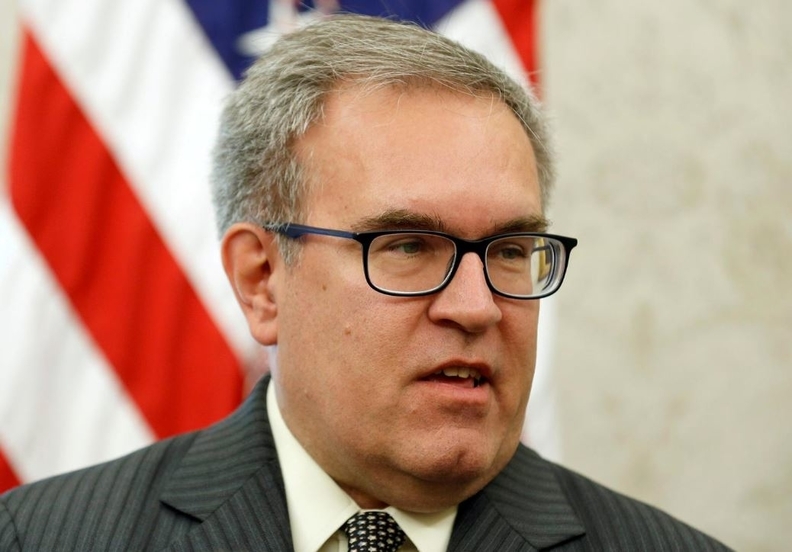 WASHINGTON -- The Republican-controlled Senate Environment and Public Works Committee approved the nomination of Andrew Wheeler to lead the EPA and advanced his nomination to the full chamber. The vote Tuesday was 11-10 along party lines. Wheeler, a former lobbyist for the fossil fuel industry, has served as acting administrator since July, when Scott Pruitt resigned under a cloud of allegations of ethics violations. He has continued the Trump administration's policy of dismantling many Obama-era environmental rules that conservatives say have stifled business without achieving large reductions in pollution. Wheeler did not attend the hearing. "Automakers are united in saying they want a 50-state deal. The last thing the auto industry needs to be successful and profitable is to spend the next half-dozen years or so in court, locked up with California and a bunch of other states, while the rest of the world moves forward to produce the kind of vehicles that the world is going to be buying in 2030," a frustrated Carper said. During his confirmation hearing last month, Wheeler said he did not believe climate change was a major crisis -- a stance that resonates with President Donald Trump's skepticism but which clashes with the scientific consensus that global warming will have devastating consequences if not addressed urgently. Wheeler -- like Pruitt -- held nearly 20 times more meetings with industry representatives than with conservationists during his first two months on the job, according to a copy of his schedule reviewed by Reuters.